Download Invite Blogger Template is a premium looking and professionally designed magazine blogger theme. 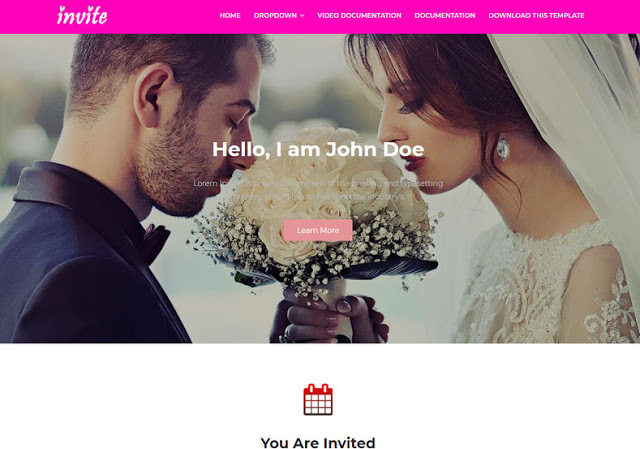 Invite Blogger Template is a completely best beautiful and graphically amazing, extremely resourceful and very unique, elegant and memorable Blogger wedding and events website theme. Marriage is a gorgeous and very carefully developed the theme that has been designed with the utmost attention to every nook and cranny, in order to make a completely pixel perfect, Retina ready theme that couples can delight in or webmasters in general can rely on to make professional quality event websites of any nature whatsoever.